Bill Clinton’s introduction of Barack Obama will remind Americans of how much better off they were 12 years ago, but will it be enough? I have come through two wars, the Bush economy and the stutter step recovery during the first Obama term. But as he faces into the last election of his life, Barack Obama ironically, has come to depend on the man he once dismissed as a showboat and who his supporters derided as essentially a racist. Clinton is far from both and he has his own political calculation to figure out when he gets up on stage at Charlotte. 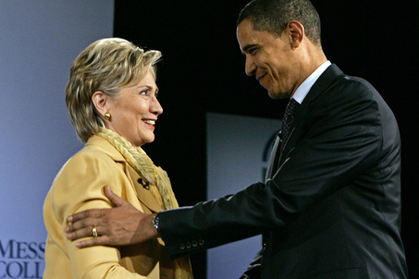 His wife Hillary will take a break from politics after this administration but the pressure will immediately build for 2016 regardless of whether Obama is re-elected or not. In fact, it would be better for Hillary’s calculus if Obama was defeated and she faced a Republican incumbent. Eight years of Obama would have the country ready for a change and given the fickle nature of politics these days, 12 years of Democrats in the White House would be a stretch. In addition, the likely republican field for 2016 looks a lot stronger than this year’s lame list of has beens and never weres. Governors Chris Christie and Bob McDonnell and VP candidate Paul Ryan all look formidable at this stage anyway. This will all be obvious to Bill Clinton when he takes to the podium, but he will fly the flag high for Obama in the hopes that his own legacy will be burnished further by riding to the rescue. There will be a lot of water under the bridge by then, but it is nonetheless a fascinating exercise in the power matrix as we watch Clinton deliver the Obama stem-winder. Laughed at, dismissed, derided as out of touch, the Big Dog is back patrolling the porch and this time his bark and bite are suddenly very important again. A happy day for the Clintons in Charlotte.